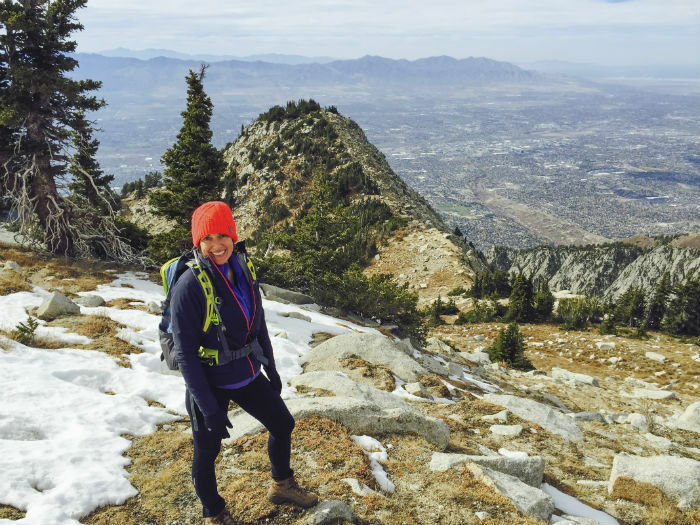 Unlike walking on a treadmill or paved path, hiking involves more, sometimes unpredictable, variables. Of course, these variables are part of what makes it so enjoyable! Use the following hiking tips to make your first treks successful. Hiking is an excellent low-impact workout. Studies show it offers multiple physical and mental benefits. From reducing anxiety to preventing osteoporosis, hiking is an outdoor activity delivering benefits beyond scenic and fun. 1. Start small and choose the right trail for your fitness level. 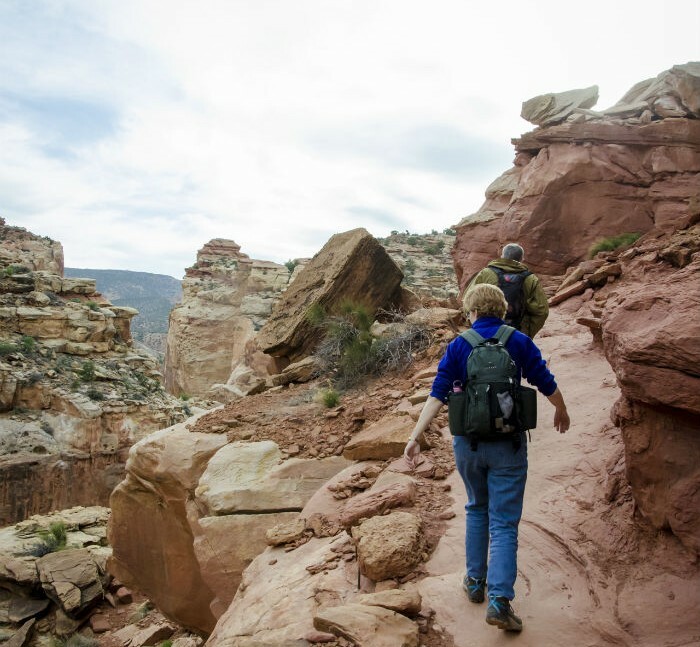 Select a hike a little shorter than the distance you can normally walk on a level or paved surface. To estimate the time required to hike the trail, figure a pace of roughly 2-miles per hour. Next, review the elevation changes and add an hour to your estimated hiking time for every 1000 feet of gain. After you've been out once or twice, you'll have a sense for what distance and elevation changes work well for you. 2. Familiarize yourself with the trail. Once you have selected a trail, obtain a map of the area and review reports and data. There are some excellent online resources available. Find out if the trail is a loop, or if you'll have to backtrack or spot a second car. Take note of any intersecting trails where you could potentially make a wrong turn. I also like to look for a good lunch spot such as a lake or peak with a view. Leading up to your hike, and again a few hours before, check the weather. This will give you valuable information on how to dress and what to pack. If the weather is forecast to be awful, it will give you the chance to change plans instead of getting surprised on the trail. 4. Tell someone where you will be. It's important that someone not on the hike knows the itinerary and what time to worry and call for help. Note I didn't say, "when you expect to be done." The "worry time" may be several hours later than your planned finish to allow for slow hiking, amazing views, or perhaps a sore ankle causing a delay. Another option is to carry an emergency device such as the SPOT tracker, which allows you to summon emergency assistance by satellite. One caveat, devices like the SPOT are not an excuse to shirk responsibility for your own personal safety -- they are a backup. 5. Pack the 10 essentials. This list may look daunting, but once you tailor it to your hike, it won't be so bad. Many of these things are what you'd pack for a picnic. Visit Mountaineers Books for more details. 6. Wear the right shoes and socks. Painful feet can ruin a hike. Invest in quality hiking shoes and socks. This doesn't mean heavy leather boots, there are a lot of "light hikers" available that require little break-in compared to the old hiking boots I started with. Also, don't skimp on socks and for goodness sake... No cotton! Wool or synthetic socks are the way to go. Also pack blister dressings just in case. Once your feet are taken care of, dressing right is key to comfort on your hike. Skip cotton anything, it gets damp and stays that way leaving you feeling clammy and causing chafing. Instead go for synthetics. To easily adjust for your temperature and the weather, wear layers that you can add or shed as needed. Lastly, pack an extra warm layer beyond what you think you'll need, preferably something that will block wind too. Okay, now that I've told you to pack all of this stuff, I'm going to tell you to keep you pack light. This means opting for the lightest of each item. For example, a travel size tube of sunscreen instead of the NoAd 16-ounce tube you found on sale. When you first get on the trail, you may feel like powering forward like a hero. However, you'll be a zero by the end of the day if you don't pace yourself. Instead, pick a pace you can maintain all day. It might feel a little awkward at first, but after a few miles, especially uphill, you'll be glad you saved your energy. The beautiful trails we love will only stay beautiful if we care for them. Take time to read the Leave No Trace Seven Principals and follow them. It's up to every outdoor enthusiast to take care of our natural spaces. 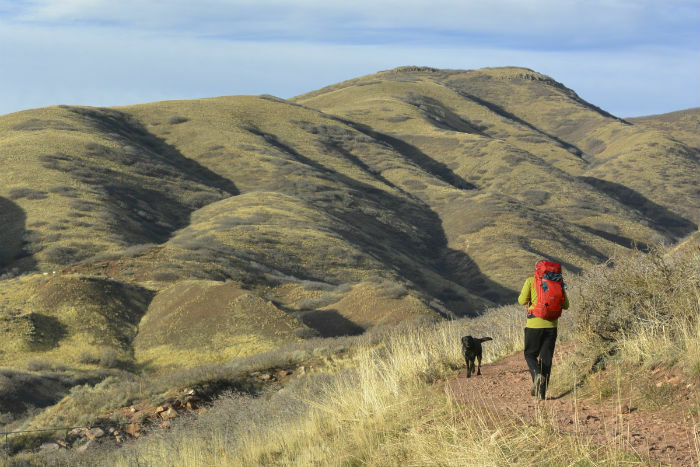 Using these tips I hope you'll get out hiking this season. Where will you go? Leave a comment to share your ideas; I'd love to hear them!